Nejad Rugs of Doylestown has generously donated a Theresa Nejad original designer rug valued at $1800 to the Jag Fund. 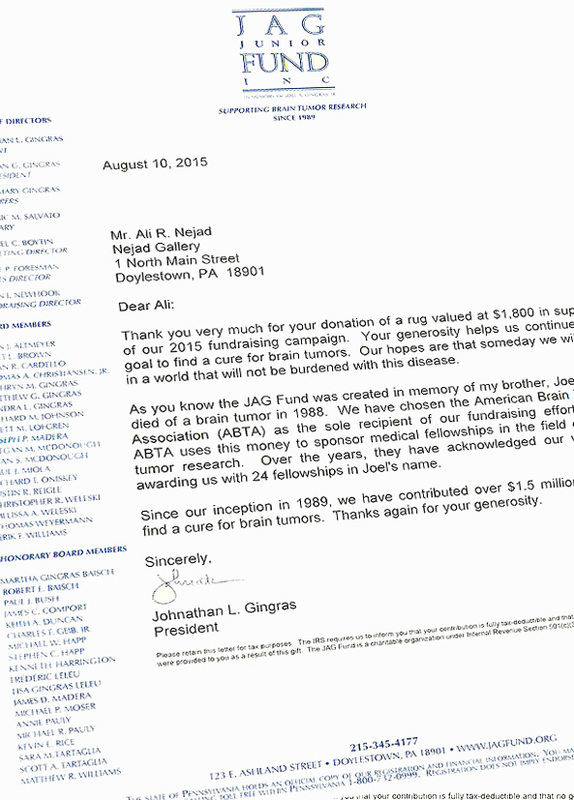 Since 1989 this Philadelphia area-based philanthropic organization has raised and donated over $1,500,000.00 to the American Brain Tumor Association. 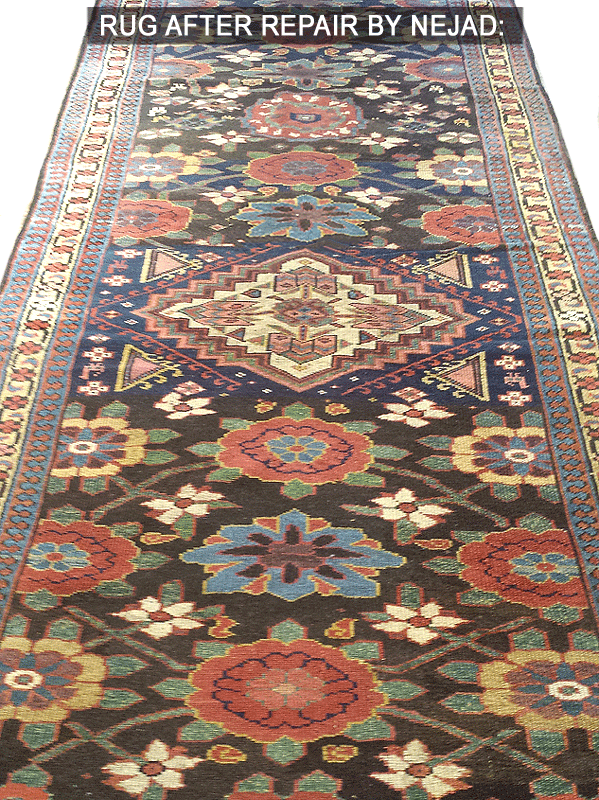 A Bucks County family’s cherished heirloom, a large Kurdish Azerbaijan Rug c. 1890, which had undergone extensive wear, especially to the center of the rug, where even the pile itself had been worn down to the very foundational threads, has been completely restored – or should we say “virtually recreated” – by Nejad Rugs of Doylestown PA. 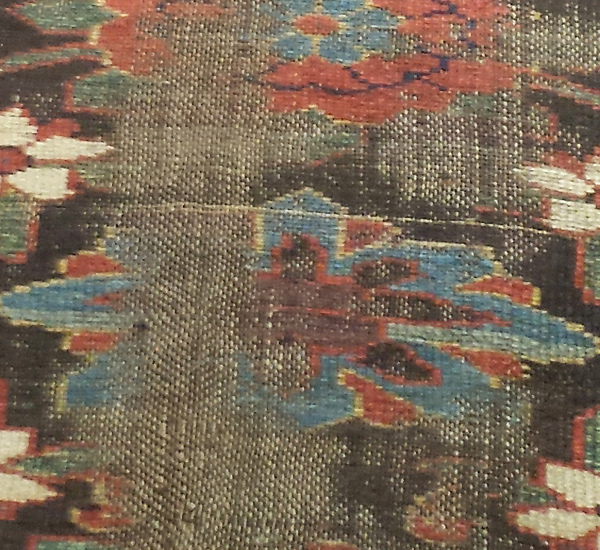 Essentially the damaged areas of the rug were rebuilt from the ground up (literally) which means, for all practical purposes, that before any reweaving of the pile could actually commence, the once intact 100 year + threadbare textile would need to undergo a careful reinforcing of the warp and weft threads. And, that, not before finding the correct quality and texture of woolen yarn, achieving an exact color match in the wool-dying process and, then, matching the artwork itself, and with the same knot density – each and every knot carefully tied off at the same angle of the original weave so as not to create any shading differences on the surface of the pile. Finally, after months of reweaving, the rug was ready for – yes, one more step – the finishing process of shearing the newly rewoven pile to match the pile height of the rest of the rug. Nejad has been the Philadelphia area’s premier company for professional Oriental Rug hand washing and expert repairs for over 30 years. 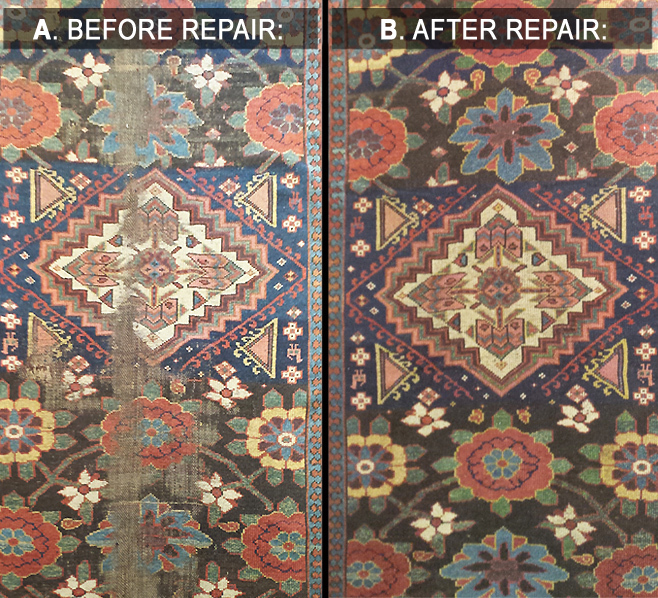 For more information visit: Nejad Rugs Restoration & Repair or call 215-348-1255.